Grave : Plot II. Row A. Grave 5. 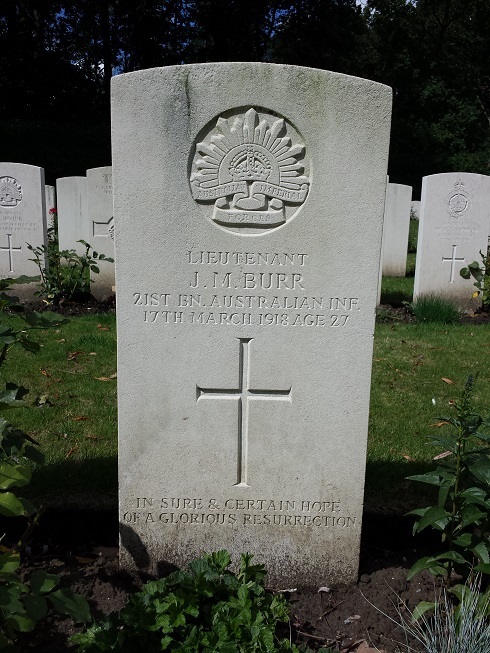 Joseph Martin Burr was a son of Edward Joseph and Louisa Burr, of 106, Gheringhap Street, Geelong, Victoria, Australia. He was born in Townsville, Queensland.